Mondays are usually days when I wanna be super healthy after indulging on week ends... I also like to feed my kids tons of nutrients and vitamins (for a good start of the week) and on top of that I have almost no time to get dinner on the table! Soups are often the answer to all of that! 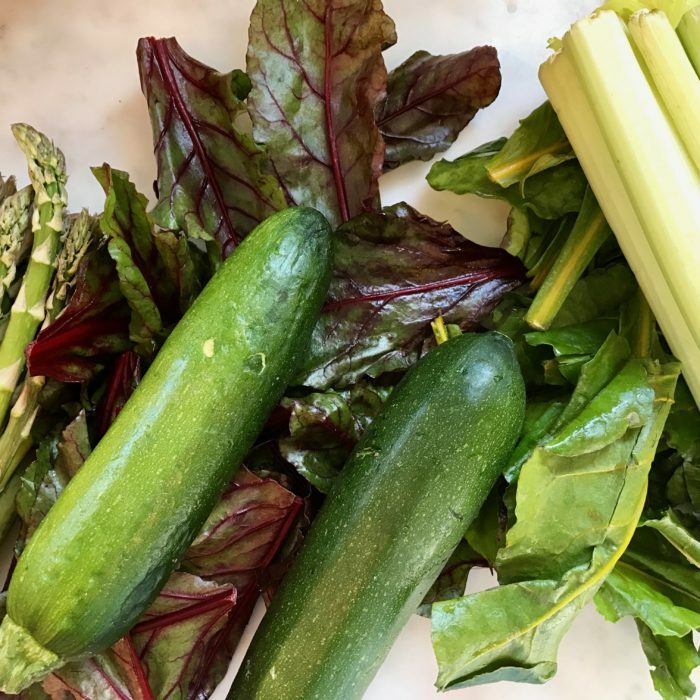 This delicious green soup is creamy (although no cream added but thanks to my Vitamix) healthy and I add lemon ricotta crostini for the kids to make it more fun! Sautée the onion, celery and garlic with 2 tbs of olive oil for a few minutes, add the spices and coat everything together. Add the zucchinis and asparagus and let it cook to bring out the flavors for another couple of minutes. Add the stock and bring to boil. Let it simmer for 15 minutes, add the greens and cook 5 more minutes. Prepare the crostinis by mixing ricotta cheese with lemon and spread on top. Blend the vegetables, I use my Vitamix because it creates a very smooth and "creamy" texture. Add salt and pepper to taste. If you wanna make this a more consistent meal, you can always add shredded chicken, meatballs, pasta, rice, crispy quinoa, .... Options are endless!